eBay finally granted itself permission to do what it's likely been itching to do for a long time: hide listings it deems unworthy for unspecified reasons from showing up in search results. eBay sellers are scrambling to interpret what new provisions of eBay's User Agreement mean and how it will affect them. Among a number of changes is one in which eBay could force its returns program on all sellers who allow returns, and one in which eBay grants itself permission to suppress listings. Not surprising to jaded sellers is the fact that eBay is not giving sellers much advance notice to adapt to the changes despite a promise to give them at least 60 days notice. "To further create a marketplace where buyers find what they want and drive positive user experience, we updated the provision regarding listing conditions to recognize that the appearance and placement of listings in search and browse results will depend on a variety of factors. So, in some situations a listing may not appear in some search and browse results regardless of sort order." One seller wrote, "The fact that ebay is actually telling sellers that they are doing this and incorporating it into the new user agreement is BEYOND AUDACITY, it's a flagrant thumbing of the nose to sellers." Another seller wrote, "So let me get this straight, a seller is paying ebay to list an item on here but "in some situations a listing my not appear in some search and browse results regardless of sort order." So it might not get exposure and it might not sell, but you are still paying ebay to list it (unless of course you used the free listings and then i guess it won't cost you anything for nobody to see it)." A seller who speculated that eBay might choose to hide listings from a low or poor feedback seller to a newbie buyer wrote, "I doubt that it will affect most sellers significantly, but it's still unnerving that eBay rigs search results, making up it's own secret rules as it goes along." 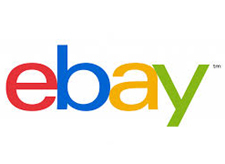 In response to EcommerceBytes' question about whether eBay would refund a seller in cases in which his or her listing did not appear in some search and browse results, eBay spokesperson Ryan Moore said no. "As part of our effort to drive a positive user experience on eBay, our goal is to help buyers easily search and find relevant items that they are seeking. We consider a wide variety of factors when determining the appearance of a seller’s listing in various search and browse results. While a seller’s listing may not appear in a search and browse result for a particular query, it may appear in the results for another query. Therefore, we will not be issuing refunds for listing fees." "Provision regarding hassle-free managed returns. We added a provision describing the eBay returns process, which simplifies returns for our buyers and sellers. We may automatically apply the eBay returns process to listings where returns are accepted. Sellers may remove the eBay returns process from their listings by adjusting their account settings within My eBay. Initially this change will only apply when a new seller account is opened." Moore said eBay had no plans to opt all eBay sellers into its returns program "at this time." "As outlined in the FAQs, starting in November 2013, any brand new selling accounts opened on eBay.com will be automatically enrolled into the returns process," he said. "eBay wants to help new sellers build a strong reputation with buyers, sell successfully, and make money right away. By offering hassle-free returns, we believe new sellers will be able to instill confidence with eBay shoppers while saving time managing manual returns." eBay also explained a change to its Buyer Protection policy: "if as a seller you choose not to engage with the eBay Buyer Protection process on an item not as described case, we may seek to carry out a reimbursement from you without asking the buyer to return the item to you." There are a number of other provisions included in the post on the eBay Announcement Board. Take a look, and let us know what you think.